Boy! There is a lot to pick from. I will have to revisit this set of documents from time to time, but this item jumped out at me and introduced me to a woman I had never heard of by the name of Jeannette Bates. beside Congressman Jeannette Rankin in the political procession. “Woman’s place is wherever she makes good,” said Miss Bates. “Some women will make good in the court; some in the kitchen. “I know Clarence Darrow has just said the woman lawyer may not make a living in the law. Well, I know some, men lawyers whose living – made in the law is rather lean. “Mr. Darrow said, ‘Women are too kind to succeed as corporation lawyers, they cannot fight the soulless trusts. “But women have fought trusts,” declared Miss Bates. “Ida Tarbell’s heart never weakened her fighting qualities. “To go back to this matter of making a living in the law. When I was teaching I made $1,200 a year. The first year I practiced law I made more than $1,200. Since I have been practicing I have acquired a comfortable, seven-room bungalow, a garden and chickens. 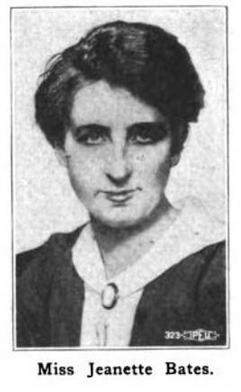 Jeannette Bates was a 1903 graduate of the University of Chicago who went on to study law there and at Northwestern. Prior to her career as a lawyer, she taught in the Hyde Park high school. He appointment made news around the country in various Law Reviews and Labor Journals. 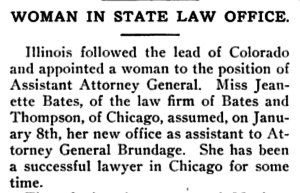 Miss Bates was a member of the law firm of Bates and Thompson and drew from her years of practice in Chicago in her AAG role. 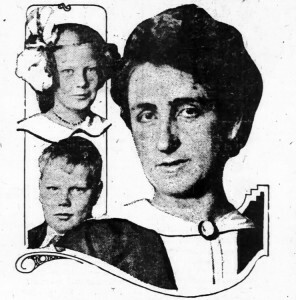 Jeanette Bates, with her adopted children, Katherine and Edward. Her special area of focus as an assistant attorney general of Illinois was the enforcement of industrial welfare laws and the child labor law. 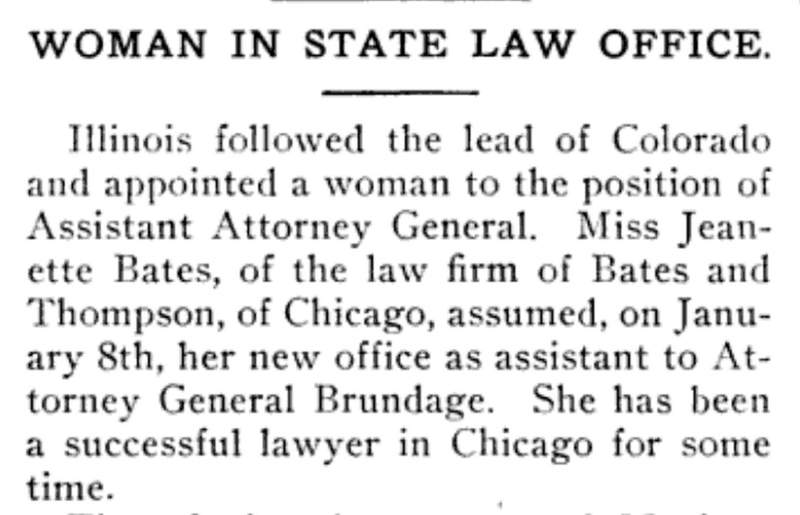 Bates was the second woman to serve as an Assistant Attorney-General. 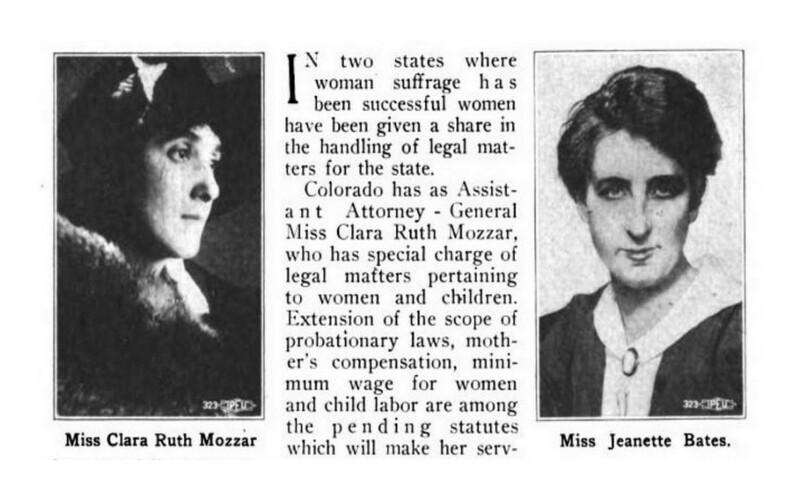 The first was Miss Clara Ruth Mozzar of Colorado.